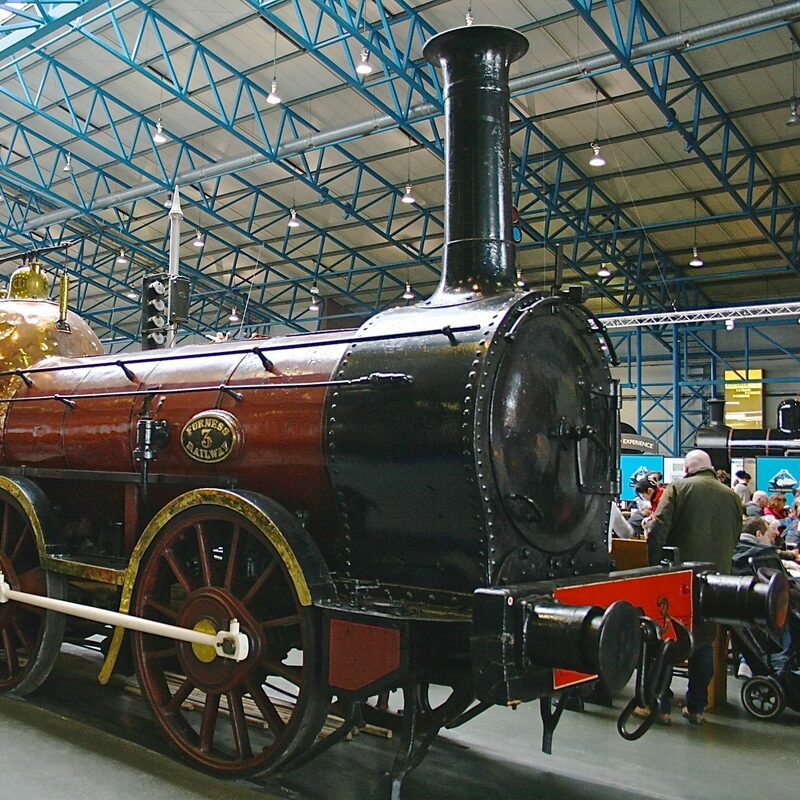 Back in the 1950s, when British Railways was beginning work on the “Modernisation & Re-Equipment Programme” – effectively the changeover from steam to diesel and electric traction – the focus in the diesel world was mainly between high and medium speed engines. On top of which, there was a practical argument to support hydraulic versus electric transmission technology – for main line use, mechanical transmission was never a serious contender. The first main line diesels had appeared in the very last days before nationalisation, and the choice of prime mover was shaped to a great extent by the experience of private industry, and English Electric in particular. The railway workshops had little or no experience in the field, and the better known steam locomotive builders had had some less than successful attempts to offer examples of the new diesel locomotives. In Britain, the changeover from steam to electric traction became a very hit and miss affair during the 1950s and 1960s. Orders for the rail industry, and especially the locomotive industries, was subordinate to the railway workshops – which in the ‘experimental’ years received the lion’s share of the work. That said, the supply chain included companies like English Electric and Metropolitan Vickers, who had had considerable experience in non-steam traction, especially in export orders. Examples operated in British Railways experimental period between 1948 and 1956 was powered by ‘heavy oil engines’ – the use of the word ‘diesel’ seemed to be frowned on by the professional press in some quarters. The few main line types that had been built were based around medium speed, 4-stroke power units, with complex valve gear, and perhaps over-engineered mechanical components. Power to weight ratios were poor. In the USA in particular, where fuel oil and lubricating oil costs were much less of a challenge for the railroads, 2-stroke diesel engines were common, with much higher power to weight ratios, but equally higher fuel costs. Indeed, the Fairbaks-Morse company had designed and built opposed piston engines, long before English Electric’s ‘Deltic’ prototype appeared. A fascinating glimpse into the workings of the 2-stroke ‘Deltic’ engines. In this animation, the source of the power unit’s name as an inverted Greek letter ‘Delta’ is perhaps more obvious. Eventually, BR produced its modernisation plan, and included numerous diesel types, for operation and haulage of the very different services in all regions of the UK – they were dominated by medium speed 4-strokes, and only two examples of the 2-stroke design. The two examples were at opposite ends of the league – both in terms of operational success – and perhaps in the application of the 2-stroke to rail traction. They remained the only two examples in main line use until the 1980s/1990s, when as a result of privatisation of rail services, many more 2-stroke powered examples were ordered and delivered from the major manufacturers in the USA. It may be though, that this technology will see only a brief life, as further electrification, and other technology changes take place.